Lovers of quality audio content you’re probably not paying for, rejoice. 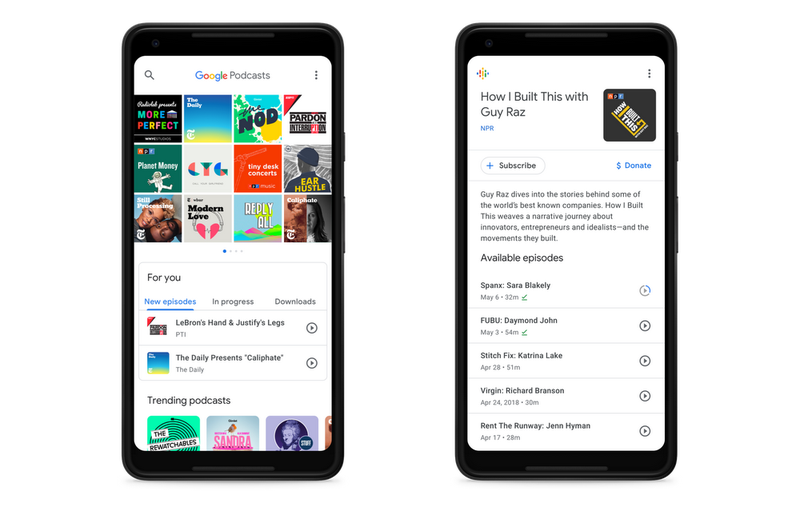 Google has finally released its own Google Podcasts app, providing users a dedicated place to enjoy their shows, find personalised recommendations, and soon take advantage of upcoming accessibility features. It’s also one of the few Android-only apps made by the company, which traditionally releases cross-platform apps to satiate users of Google’s services on iOS. Veteran Android users may remember Google Listen, the company’s first attempt at a podcast app, which was shut down in 2012. Since then, podcasts have been poorly supported by the company, which added a few half-hearted podcast-related features into apps like Google Search and Google Play Music. If you wanted a decent podcast platform on Android, you were better off looking for third-party alternatives. The new Google Podcasts app more deeply integrates podcasts into Android and Google products as a whole. Google Podcasts features Google Assistant support, so you can resume listening to your podcast on your Google Home when you arrive at your abode, with more podcast support spreading to other Google products in the future. Google is also trying to fix one of the biggest hurdles when it comes to finding enjoyable podcasts: Finding podcasts that aren’t hosted by a group of white dudes. The Google Podcasts creator program, announced today, is designed to promote diversity in podcasting. “That’s why we’re also partnering with the podcast industry on a program to increase the diversity of voices and remove barriers to podcasting,” Reneau-Wedeen said. “The program will be guided by an advisory board from around the world, with the primary goal of enabling skills development and experimentation from underrepresented voices, as well as cultivating ideas and processes that can scale throughout the industry.” Enrolling in the Google Podcasts creator program means filling out a form and waiting a few weeks. Google is promising more details later this summer.